With over 2,000 games companies in the UK, you can understand why the UK remains a top destination for games industry jobs seekers around the world. From small studios creating stellar indie and casual games to world-renowned industry heavyweights creating some of the most popular IP on the planet. 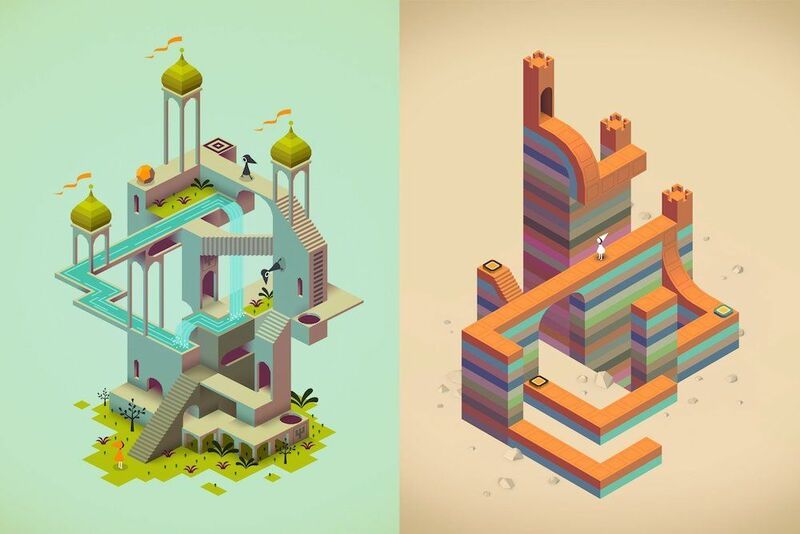 This mobile game became a worldwide hit, not just because of its unique mechanics, beautiful design and charming story, but also because the game was featured in an episode of Netflix’s House of Cards. The game was downloaded over 26 million times and sparked a successful sequel, both made by UK studio ustwo. The first installment of the franchise was the winner of over 20 awards, including iPad game of the year 2014 and two BAFTAs. 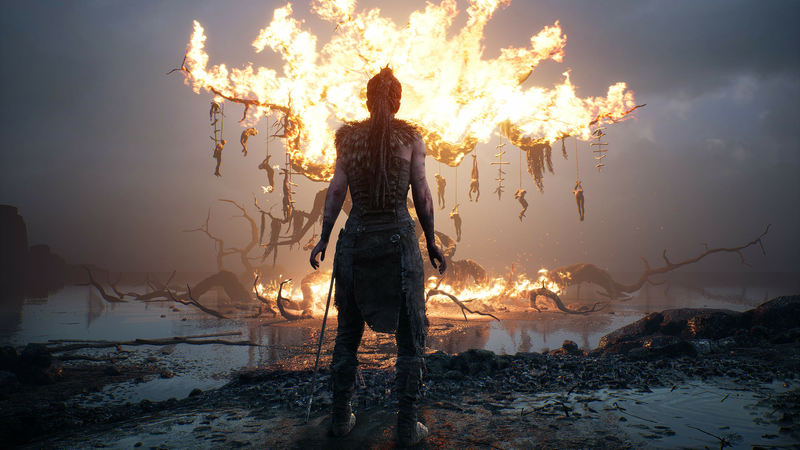 This important game by Cambridge-based studio Ninja Theory follows the protagonist Senua as she journeys into the Norse underworld to save the soul of her lover Dillian. The game received critical acclaim not only for the incredible performance of Melina Juergens as Senua but also because of the accuracy of the portrayal of mental illness. Headphones were recommended to play the game, with whispers coming from all around sometimes offering help, but more often than not misdirection and criticisms meant to torment Senua and the player. Not knowing whether to believe the directions the game was providing, or even the images before your eyes made for a ground-breaking gameplay experience that won 11 international awards, including 5 BAFTAs and 3 Game awards including The Game Awards for ‘Game for Impact’ and the BAFTA for ‘Game Beyond Entertainment’. Sports Interactive was formed in 1994 in London and went on to create one of the biggest games franchises around the world. Renowned for it’s accuracy in determining the stats of football players around the world, and even being used as a resource for scouts when looking for the next best talent. The franchise consistently comes top of Steam’s list of ‘most played’ games and has even had a documentary made about the process behind the creation of one of the most popular football games on the planet. Rockstar in Edinburgh are an industry heavyweight to say the least. They don’t release games annually but when they do they become instant smash hits. 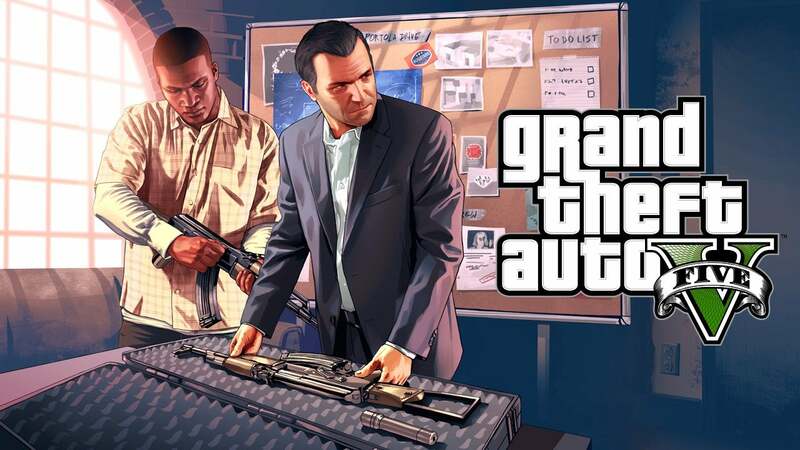 Although Red Dead Redemption 2 is their most recent smash-hit release, GTA V still remains the biggest selling entertainment product the world has ever seen. Since it’s release in 2013 it has sold over 90 million units and had made over $6 billion, storming ahead of the highest grossing film of all time, James Cameron’s Avatar, which made £2.8 billion on its release in 2009. Approximately 32 million people, just under half the population, in the UK play video games on a regular basis so the UK games industry looks set to remain strong for years to come.